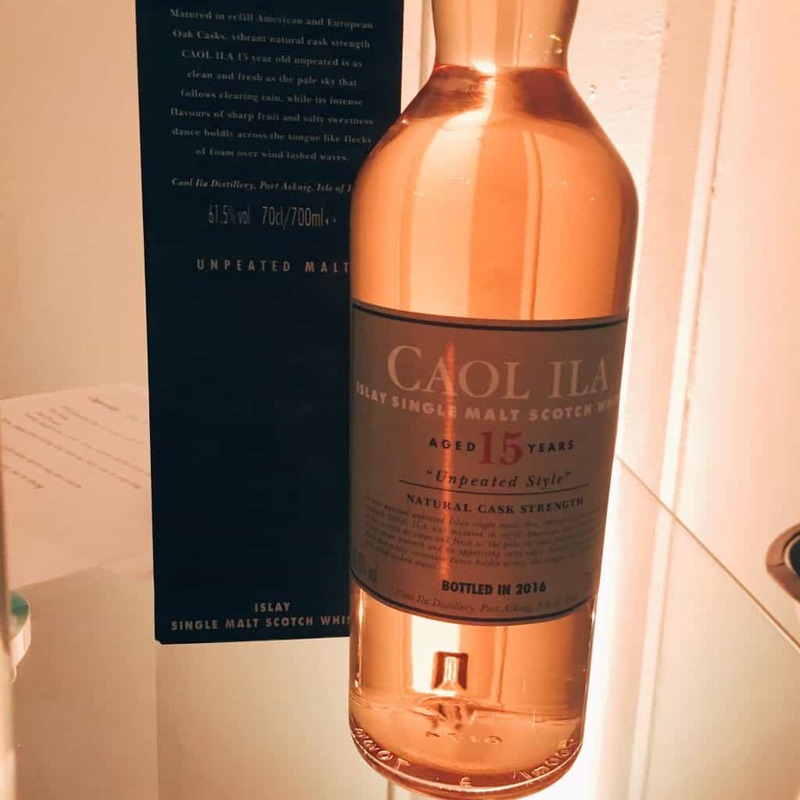 After last week’s event, I suppose I should use this as an opportunity to write super-detailed tasting notes of one of the biggest releases in the whisky calendar – the Diageo Special Releases. And ordinarily I would, if it was not for two main reasons. 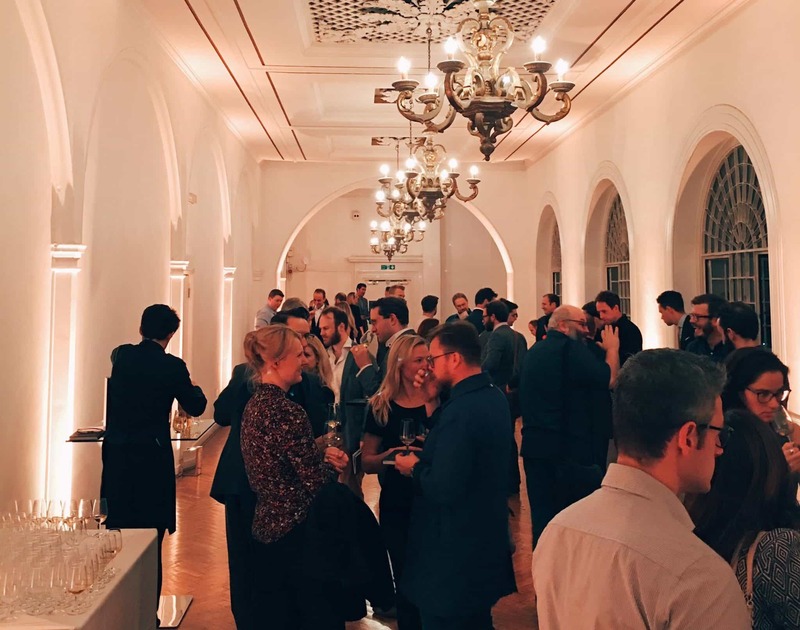 The first reason was that the event was in a hot room in London, full of nice food and nice people, with free-flowing conversation all night. That would skew my perceptions compared to my normal tasting conditions, which largely consist of being a miserable sod at the dining room table, being thoroughly unsociable and with nothing to disturb me. Happy days. The second reason was that I left my notebook in my bag, which I had checked into the cloakroom. 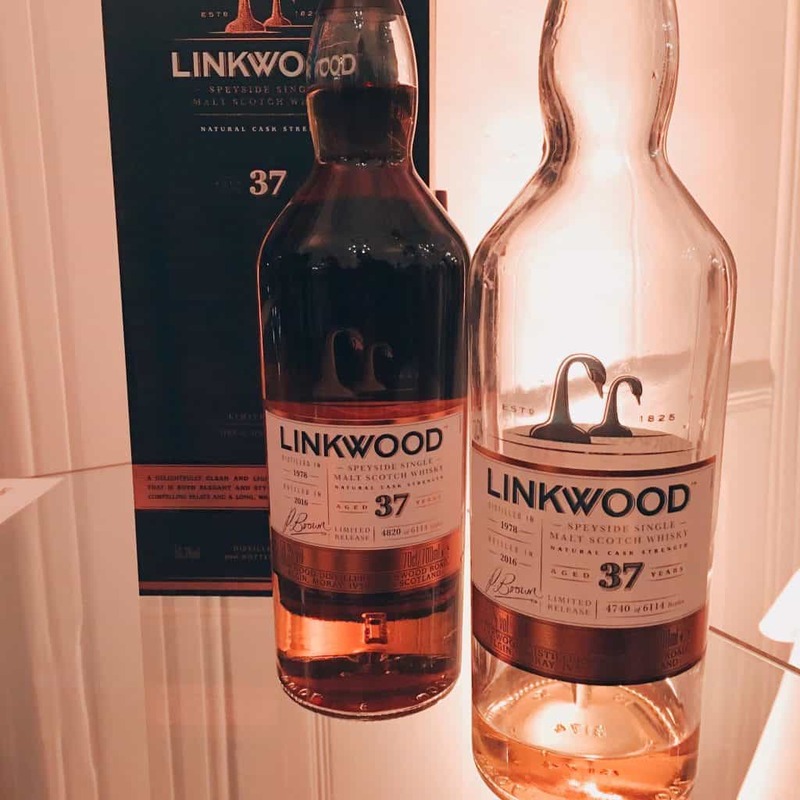 So I switched into festival mode, whereby I taste not so much based on the merits of an individual whisky, but how they stacked up against each other, and reflected on the event as a whole. I thumb-tapped some thoughts into my phone whilst catching up with friends and fellow writers in the whisky industry, as well as meeting some new folk (which is half the fun of these things). It’s probably a good idea to start at the beginning though, rather than just me banging on about the fact that I was at some fancy whisky gig in London. (I’m sure you’d love reading about that.) What are the Special Releases? What’s the purpose of this annual range? Diageo is one of the world’s biggest spirits producers and their portfolio of whisky distilleries and brands is vast. As has been the way for two centuries of Scotch whisky production, blended whisky has received the most interest and attention around the world, and so most of Diageo’s distilleries produce for big blends, such as Johnnie Walker. And outside of independent bottlers, it’s not so often that the single malts that go into blends see the light of day. On the other hand, there are also some whopping distilleries in the Diageo portfolio which are no longer producing new spirit. These are Port Ellen and Brora – closed distilleries that have become legendary in their own right. Indeed, on the night of the event these were very much the stars of the show. People were hovering around these two bottles like teenage girls outside the back door at a One Direction concert. Which I suppose means Dr Nick Morgan (Diageo’s head of whisky outreach) was the Harry Styles of the evening, fending off fanboys and fangirls with empty whisky boxes. 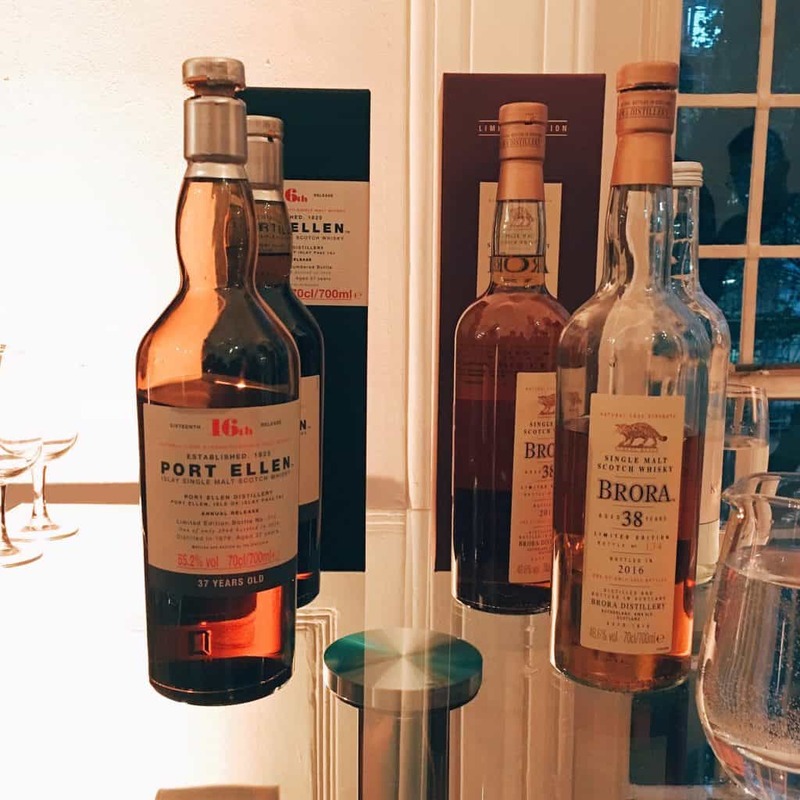 I actually preferred the Port Ellen over the Brora, incidentally; which is interesting because I always tend to find Port Ellen one of the great anticlimaxes of the industry. Though I’d argue the Brora was better balanced, it was a typically good Brora. Averagely brilliant. The Port Ellen however felt more earthier, heavier, more leathery and, for once, with more soul. Both very good, as you’d expect. Both out of your price range. Being closed, and the remaining stocks being very old now, it is not often one gets to try new releases from them – hence they have the chunkiest price tag, the Brora £1,450 and the Port Ellen £2,500. Which, in the current climate of companies charging insane prices for whiskies (and people paying insane prices at online auctions) doesn’t really sound that much anymore. If these had been released at half the price, then they’d have only been snapped up and sold online for a profit. Is this the market price? Probably. The only dull and inevitable thing about the Special Releases is that everyone complains about the prices. 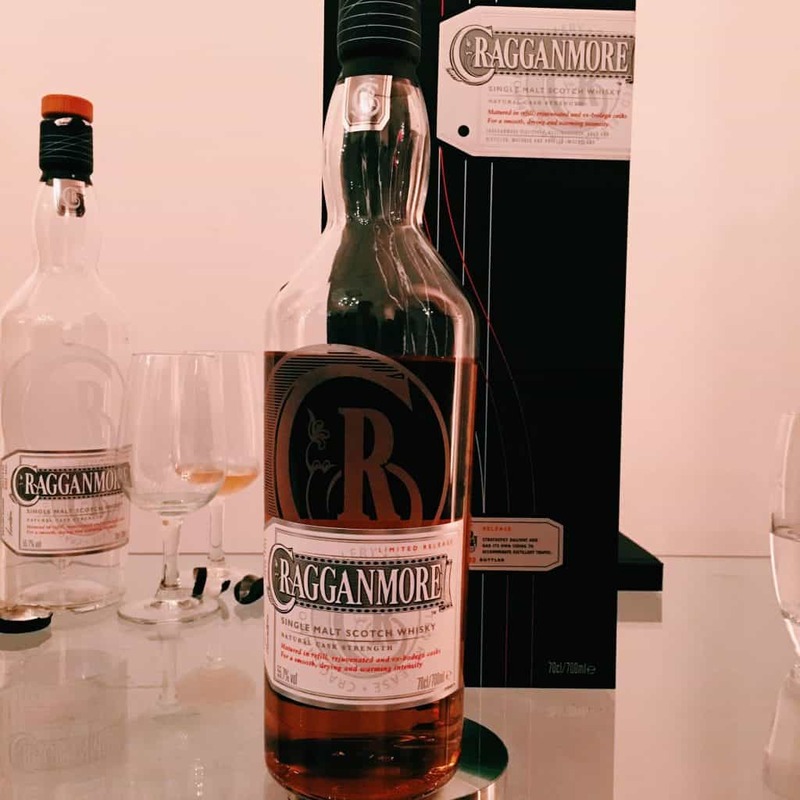 In a way, the Special Releases are a continuation of the kind of thing Diageo started doing in the mid-1990s, with their Rare Malts Selection. They are whiskies from workhorse distilleries that you don’t often get to taste in isolation. 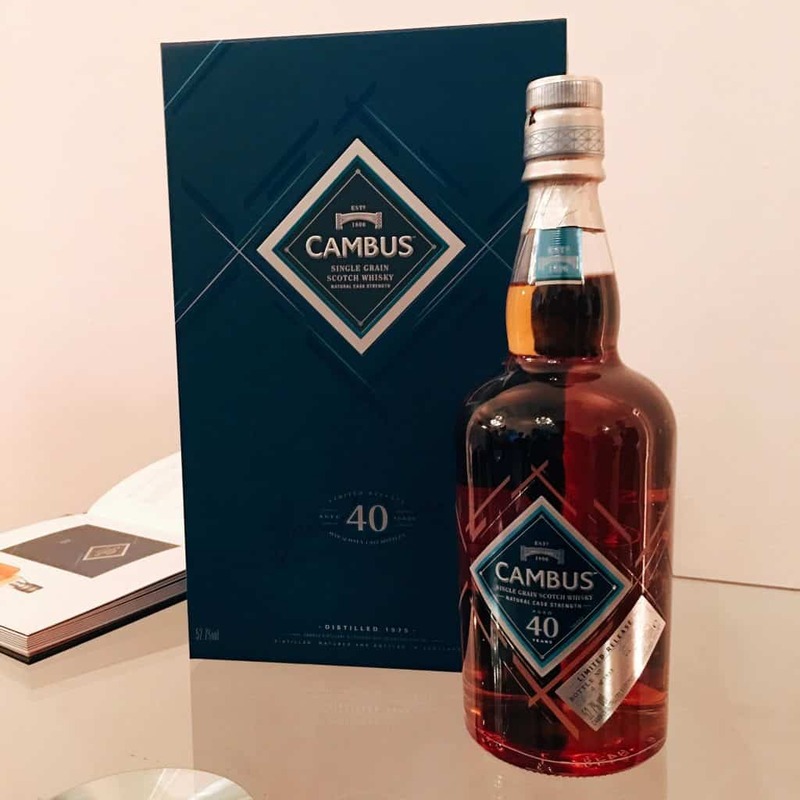 Given Diageo have a pretty big portfolio, each year they can whip out some interesting specimens, such as a Cambus Single Grain whisky at 40 years old. Unlike the closed distilleries of Port Ellen and Brora, the price for the Cambus felt rather steep at £750, but it was a very decent grain whisky with a heck of a nose on it. The big disappointment for the night was the Caol Ila. It’s yet another unpeated release from the stable, but it was just too blunt, too flat, not interesting enough. Uninspired. It would be excellent to see more peated releases in the Special Releases range for this distillery. Personally the unpeated Caol Ila thing was a nice novelty, but can they now just crack on with a bit of peated brilliance from time to time? 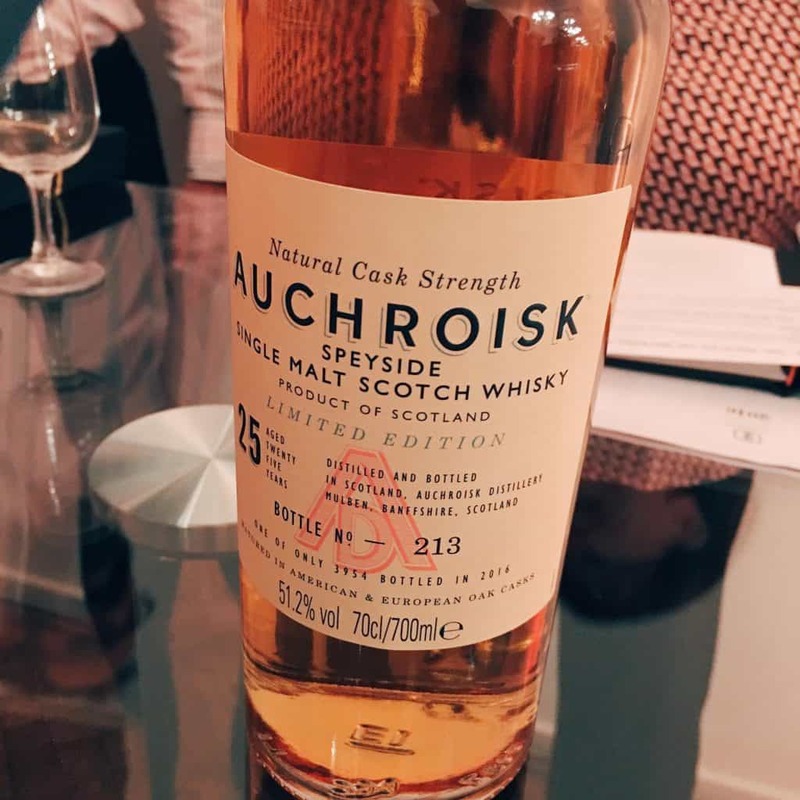 The highlights for me were two-fold: Auchroisk was my favourite of the evening, a sharp, salty, fresh and fruity affair; and the Glenkinchie was a really interesting, tasty, clean whisky which stood out against the pack. I went back for a second drop. I suppose for me, much like at festivals, it’s these ones that stand out, whiskies that contrast, which I find most interesting. I should also make a note on the branding used for many of these bottles. You’re paying a decent amount for a bottle of whisky, that’s for sure, but the packaging that accompanied them, and the typography used on the labels, were all excellent (my particular favourite being the fonts used on the Auchroisk bottle). They’ve done a good job in pitching these whiskies to the premium market. I realise as I type this that it appears vaguely apologetic for the prices, but I do appreciate good design. And with that word premium, suffice to say these aren’t for everyday drinkers. Maybe some people may baulk at the costs (which I’ve listed below). 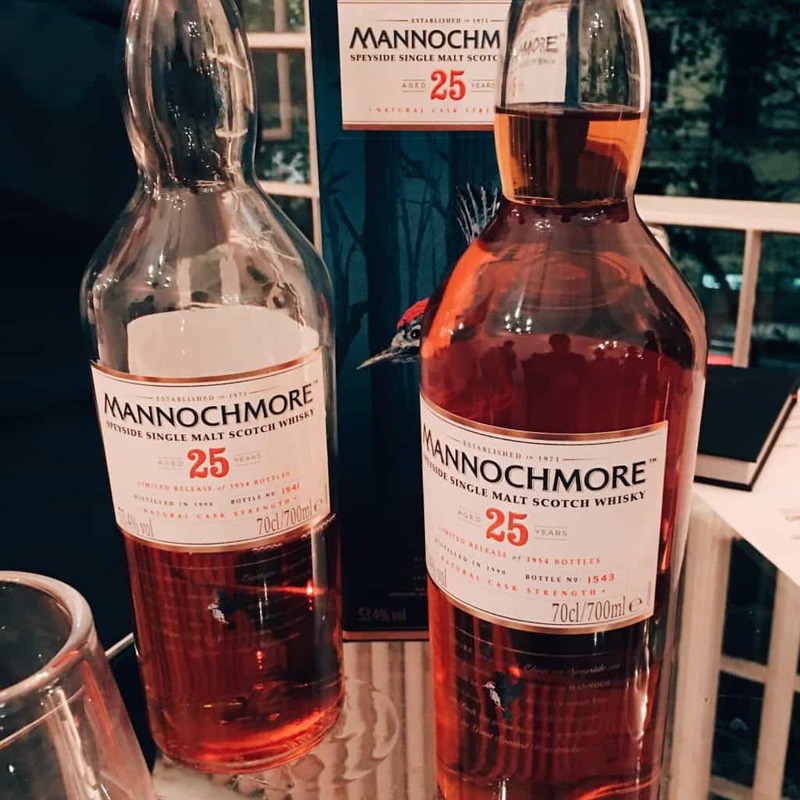 The Special Releases are for collectors – they are limited in number – and old whisky in general is getting rarer. Such is life. 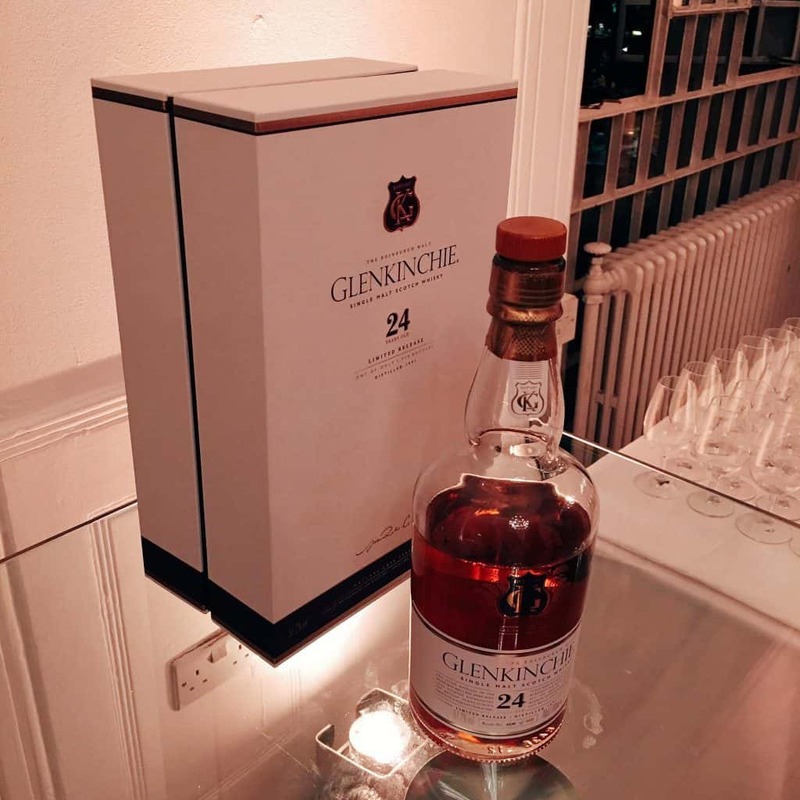 Now if I’d have seen the prices three years ago I would have raised an eyebrow, but it feels as if much of the industry has released very expensive whiskies above and beyond this – and auction prices have gone crazy – that we’re being normalised to this kind of stuff now. Maybe I do spend a lot of time looking at final auction prices for whisky. Older whisky is really expensive these days. Gone are the days of £50 for a 30 year old single malt. Can you blame Diageo for charging the market price? No. Not at all. That’s just life these days. There are rich people who can afford expensive whisky. There arseholes always willing to flip bottles quickly at auction with no interest in collecting or drinking, if the original prices are too low. Anyway, here’s the list of the Special Releases whiskies in full – you tell me.